COMMENTS: normal series since October 2016. 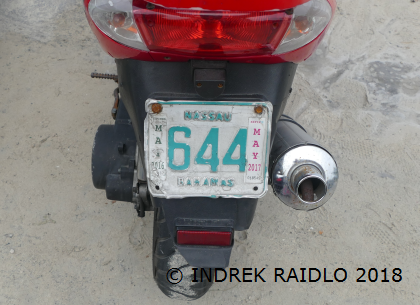 Plate style since 2016. 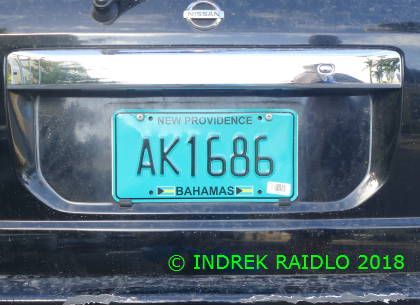 Private vehicle's serial starts with A on New Providence island. 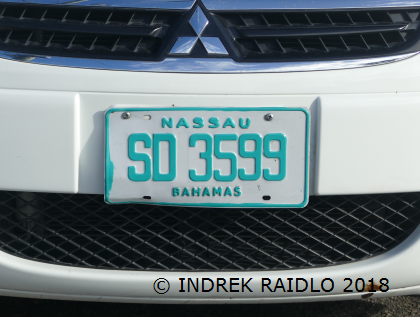 Island's name is printed on top of licence plate. COMMENTS: normal series from 1997 to 2016. 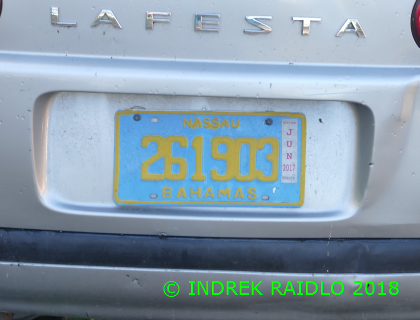 Plate style from 1997 to 2016. Yellow on light blue = private vehicle. 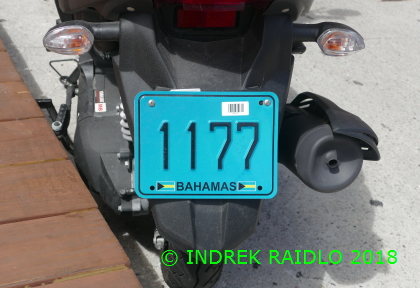 Island/town name is printed on top of licence plate. COMMENTS: taxi series since May 2017. Plate style since 2017. 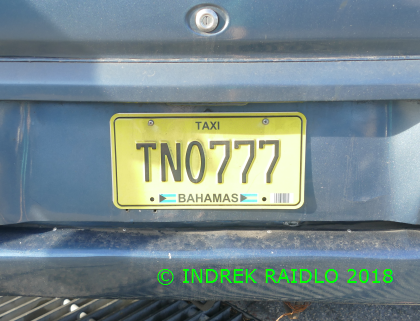 T and black on golden yellow = taxi (TN in New Providence). COMMENTS: public route bus (jitney) series since May 2017. Plate style since 2017. 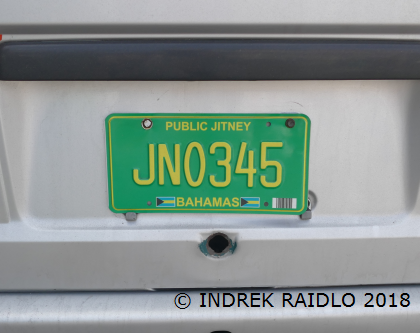 J and yellow on green = public jitney (JN in New Providence). COMMENTS: private sheduled bus service series since May 2017. Plate style since 2017. 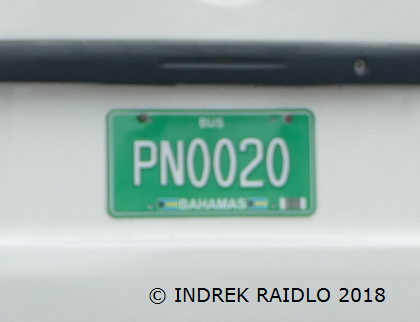 P and white on green = private scheduled bus service (PN in New Providence). COMMENTS: school bus series from 1997 to 2017. Plate style from 1997 to 2017. 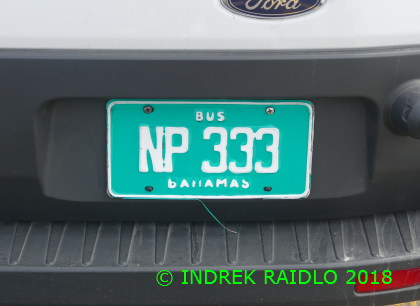 NP = New Providence. White on green = school bus. COMMENTS: motorcycle series since 2017? Plate style since 2017? No coding. COMMENTS: motorcycle series from 1997 to 2017?. Plate style from 1997 to 2017? No coding. COMMENTS: government vehicle's series since 2017. Plate style since 2017. 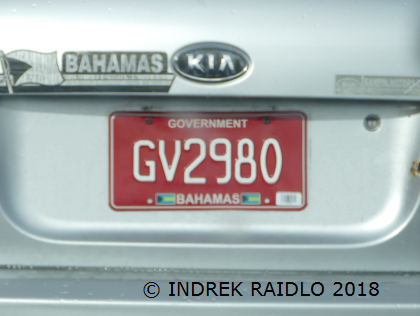 GV and white on red = government vehicle. COMMENTS: self-drive rental vehicle's series from 1997 to 2017. Plate style from 1997 to 2017. SD = self-drive.